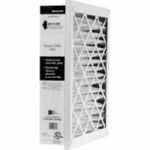 The Honeywell HFC40R1011 20"x25" Return Air Grille Filter is a high efficiency replacement air filter for return grille air filtration applications. Honeywell replacement filters efficiently capture harmful airborne particles such as dust, pet dander, pollen, mold spores, bacteria, and other allergens that circulate through the furnace filter. The HFC40R1011 Honeywell replacement furnace filter features a special design that allows it to fit in the same space as a standard 1" return grille filter while offering filtration up to forty times more effective (versus 1" fiberglass filters) due to the high performance 3" filter which lasts much longer and removes more particles from your air. This Honeywell filter also features a low pressure drop to reduce strain on your equipment and increase the efficiency of your heat pump and/or AC unit. 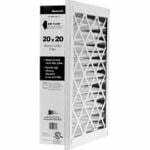 This furnace filter replacement will clean your air down to the 0.3 micron level. The Honeywell HFC40R Series replaces older model number F35R Series Filters and provides a high-efficiency alternative to 1 inch filters. 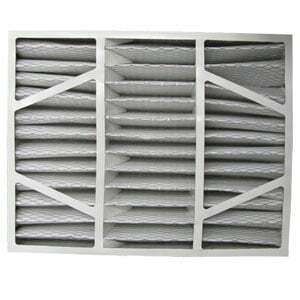 This Honeywell return grille filter should be replaced at least once per year for maximum efficiency, depending on your specific air quality. This is a genuine OEM Honeywell replacement air filter, not a generic compatible.